IPEX HomeRite Products PVC 4 inches x 10 ft PERFORATED SEWER PIPE - Ecolotube NS Spec. Solid wall sewer pipe. Certified Ecologo and ECO OPTIONS product. Inner layer made up of at least 50% recycled PVC. CSA certified for building sewer applications as well as building and landscape drainage. Cuts easily with plastic pipe cutters or saws and connects using PVC solvent cement. Perforated wall PVC sewer pipe. CSA certified for building sewer applications as well as building and landscape drainage. Cuts easily with plastic pipe cutters or saws and connects using PVC solvent cement. 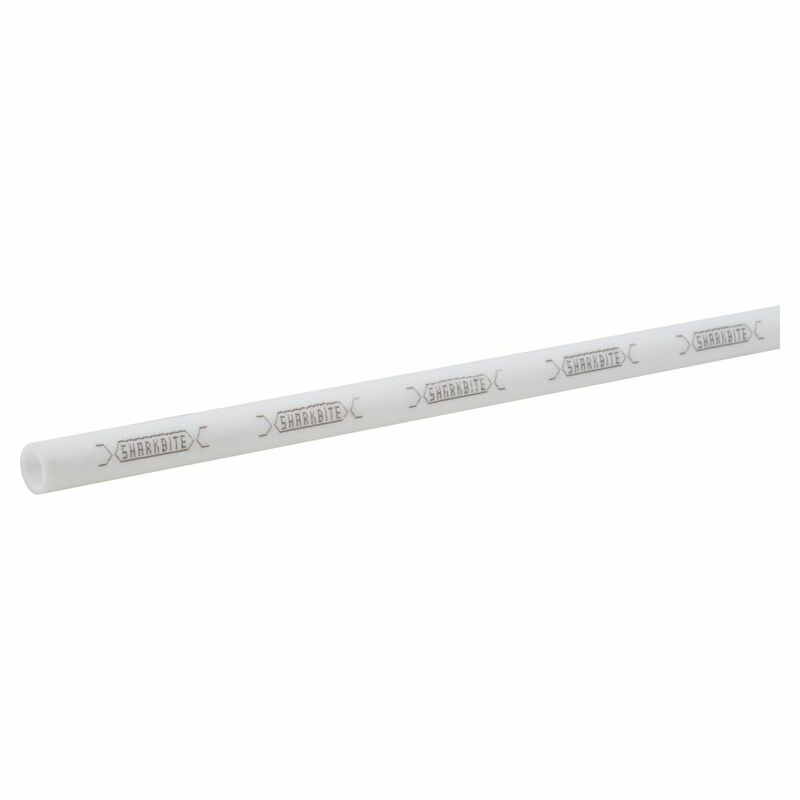 3/8 Inch x 10 Feet WHITE PEX PIPE SharkBite PEX is a cross-linked polyethylene tubing best suited for potable water supply application. PEX Pipe is durable, flexible and corrosion resistant. SharkBite PEX features a repeating SharkBite imprint pattern that provides a visual aid to help you determine whether the tube has been fully inserted when using the SharkBite push-fit fitting range. In addition to Potable Water Supply SharkBite PEX meets UL Standard for Plastic Piping in Fire Systems. 3/8 Inch x 10 Feet WHITE PEX PIPE is rated 4.0 out of 5 by 2.